Many of us have pets that are dear to our hearts and important to our lives. When we notice that something is wrong with them, we’re rightfully concerned. Getting them the highest quality veterinary care becomes our priority. When the veterinarian examines our pets to determine the problem and best course of treatment, chances are they will ask permission to take X-rays. X-ray scans can be crucial in diagnosing a number of ailments in pets. They may reveal a substantial amount of information that couldn’t be obtained through a simple physical exam. Here’s some more information about the most frequently utilized veterinary X-ray procedures. The first area your veterinarian will usually examine is your pet’s abdomen — the stomach, the bladder, and the kidneys. Examining the shapes of these organs can reveal abnormalities or inconsistencies that often indicate a specific condition or disease. Abdominal X-rays can also help veterinarians detect tumors and diagnose pregnancy. The second type of imaging procedure that veterinarians often order is the chest X-ray, which targets the heart and lungs. These scans provide crucial information required for cancer detection, and they also play a critical role in assessing damage in animals caused by trauma. The third type of diagnostic imaging procedure that may be ordered by your veterinarian is an orthopedic X-ray. The orthopedic X-ray is an image of your pet’s bone configuration, which can reveal painful orthopedic disorders, deformities, or bone fractures. The last type of image veterinarians commonly request is a dental X-ray. Veterinary dentistry is currently undergoing tremendous modernization — the days of just getting your pet’s teeth cleaned are gone. The next time you suspect your pet has a health problem, get them the proper veterinary care as soon as possible. We recommend that you not hesitate when your veterinarian asks if you would allow X-rays to be taken. These critical diagnostic scans could save an animal’s life. 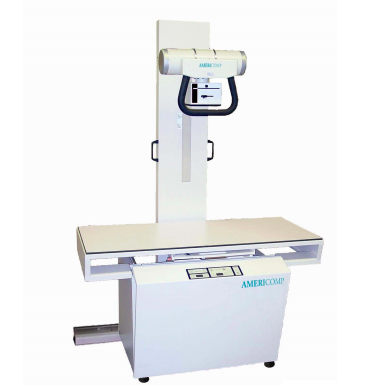 For more information about modern veterinary X-ray technology, click here. Shad Merchant is an industry veteran with experience in every aspect of the X-ray and imaging industry, having spent over 20 years assisting small medical practices, massive hospital systems, and everyone in between, all over the world, to find the right imaging solution for their needs. Contact him at shadm@swxray.com to learn more about what equipment is right for you.